Congratulations to the Eagles on your win tonight! I walked around the Subiaco oval tonight while the game was on, sending lots and lots of encouraging vibes to the Eagles players. It worked ! They won well and are off to Melbourne next week for the Grand Final. I hope they won’t miss my good luck as I have to stay in Perth. These are some p hotos of me in my Eagles encouraging mode. Have you seen me on Page 3 of The Subiaco POST Newspaper? (with my Mum and neighbours trying to cross Townshend Rd). We are worried that the State Government will take away my WeeTrees and widen Townshend for cyclists. We won’t be able to cross the road or park near our house. I will miss the chirping of the birds in the Gum trees and Jacarandas. Please let your friends and neighbours know that they can send feedback to the City of Subiaco at http://www.haveyoursaysubiaco.com.au. Please submit your feedback by OCT 5th. A raffle $5.00 each with a difference! 1,000 balls will be dropped from the sky, with 24 prizes up for grabs, plus a grand prize of a Houndstooth Studio pet photo shoot and $1,000 print pack. Tickets available for sale prior to the event so be sure to have your tickets before then! Hey – browsing the internet while my Mum is at work has its plus side. I’ve discovered that Whiteman Park is hosting the 5th annual Doggies Day Out event this Spring! Sunday 11 October, from 11.00am to 2.00pm, see everything a dog owner might need for their pet – from treats to accessories to vet care and local canine-focused services. 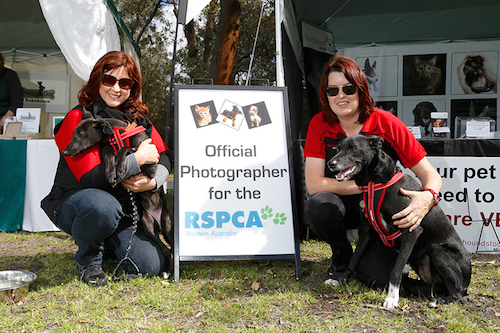 This special celebration of our four-legged friends proudly supports RSPCA WA and features the participation of over 40 pet-related exhibitors, including event sponsors FurBaby Boutique & Cafe and award-winning pet photographer, Houndstooth Studio. Pet contests throughout the day – whose pooch has the loudest bark, waggiest tail or is the smiliest? Plus lots of great, tasty food, coffee and music for the humans!New this year is the Giant Ball Drop – a raffle with a difference! 1,000 balls will be dropped from the sky, with 24 prizes up for grabs, as well as the grand prize of a Houndstooth Studio pet photo shoot and $1,000 print pack. Tickets are just $5.00 each and will be available for sale prior to the event. The Giant Ball Drop will take place at Doggies Day Out at 1.00pm, so be sure to have your tickets before then! Entry is free but a gold coin donation for the RSPCA WA will be most appreciated! All dogs are welcome and encouraged to attend the event which is located opposite the main playground in the village, but must be on a lead at all times (unless inside the Dog Park). Dogs requiring muzzles by law must have one on at all times. For more information on this event, please visit the Whiteman Park website. After discovering that Perth State Government has plans to remove the median trip in our road, and cut down our wonderful trees, to widen the road for cyclists we have been very active. Our meeting today in Richard Diggins Park was well attended and we all learned a lot from our neighbours who spoke. Everyone is now fired up to take to the press and hound (!!) the City of Subiaco to listen to our concerns.